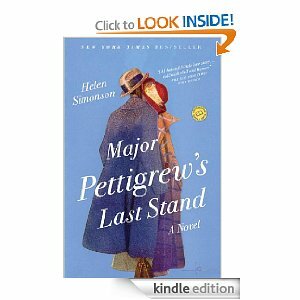 Lauren was the lucky selector of the September book, and she chose Major Pettigrew's Last Stand by Helen Simonson. This worked out great for me, as this title was very high on my to-read list. Woohoo! I have heard lovely things about it. "It's a book club book," the instructor summed up in what I thought was a pretty innocuous manner. Nonetheless, a ripple of hoity-toitier-than-thou laughter rippled across the room (skipping over me, I might add--because I started a book club AND am SUPER excited to read this book). Really, folks? We're gonna laugh at a book considered a "book club" book when pretty much everyone here is writing commercial fiction? COMMERCIAL FICTION? Ha. You WISH your book was our book club selection. I admit, I didn't expect DISDAIN for the idea of a book club. Book club members are a self-selecting crowd who love books, words, stories, and literature. They love it so much, they want to experience the book and then TALK (or write!) about it! Why, as an aspiring writer, nothing would thrill me more than to learn my book had been picked up by a whole book club. Sheesh. 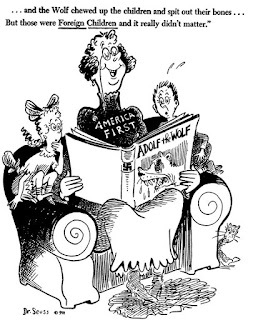 Our book club? We select fantastic books that have so far engendered great discussions. So, I was surprised at the reaction of my writing class. I didn't think people held book-club reads as a "lower" sort of fiction. Of literature. Of course, among unpublished writers, you have to factor in an indescribable envy of published authors. Especially those on the New York Times Bestseller Lists. Which I think accounts for about 99% of that laughter ripple I just described. Reader's Ink (you can still join--click on the widget in the right hand corner) has recently finished (actually, it's sort of ongoing) fanastic discussion on Skippy Dies. Some hated it, other's loved it, and some reaaaaally tried to like it . . . but didn't. It was great. Everything I'd hoped for with this book club. Wait. Maybe it's not the idea of a book club that's laughable. Maybe people laugh at the idea of WOMEN (as most book clubers are female) reading as laughable. Silly women, reading those silly stories, filling their pretty little heads with fluff. In the meantime, we're currently reading Alisha's pick, A Dog's Purpose. Discussion begins on that one Septemeber 1st. And until then, I'm throwing Major Pettigrew (the book, not the dude) into my suitcase for our week of vacay coming (not soon enough) up. I've been SO excited to start this book, and can't wait to get into it. Good choice, Lauren! The timing of your selection couldn't have been better!